He has worked for Russia after the occupation of the peninsula. 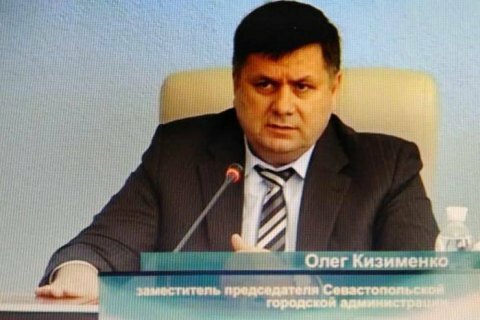 The Security Service of Ukraine (SBU) and prosecutors have detained former Sevastopol deputy mayor Oleh Kyzymenko who did not resign after Russia annexed the peninsula. He continued to serve under so-called governor Sergey Menyaylo until 2015, Prosecutor-General Yuriy Lutsenko has said. “Investigation believes that in his post, he aided and abetted the creation of occupying authorities, provided the occupiers with official documents and facilitated Russia’s subversive actions against Ukraine,” Lutsenko said on Facebook. Kyzymenko, who is originally from Donbas, is suspected of high treason (Article 111 of the Criminal Code).